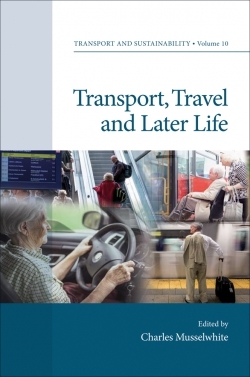 This book, set within a social gerontology and transport behaviour studies paradigm, examines current debates and issues around transport for older people and its relationship to health and wellbeing for individuals and society as a whole. This timely title explores transport and travel needs and motivations of older people, barriers older people face using public and community transport, difficulties in accessing public spaces for walking and cycling. The safety of older drivers and recent advances in technology are also investigated. Concluding by looking to the future in addressing digital cities, driverless cars and other changes in ICT that may affect older people and their travel behaviour, a variety of global perspectives examine the social aspects of mobility and transport from a psychological, sociological, and geographical perspective. This title will be of interest to those working with older people in the health and wellbeing sector, those involved in transport and town and country planning and academics examining gerontology and associated social science subjects. Introduction, Conceptualising Travel, Transport and Mobility for Older People; Charles Musselwhite. 1. Older People’s Travel and Its Relationship to Their Health and Wellbeing; Roger Mackett. Dr Charles Musselwhite is Associate Professor in Gerontology at the Centre for Innovative Ageing (CIA) at Swansea University, UK, leading the Environments and Ageing research strand. His research interests involve ageing, travel and transport, addressing technological, environmental, health and sustainability contexts of transportation and built environment studies. 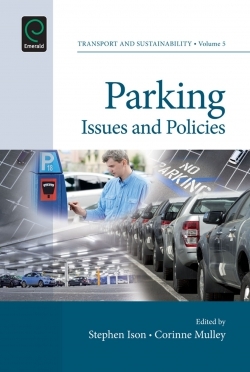 Charles has advised the United Kingdom (UK) parliament on older people’s transport issues and is an Executive committee member of the British Society of Gerontology (BSG), where he is editor of their journal, Generations Review. He is an Associate Editor for Journal of Transport & Health and on the editorial board for Ageing and Society journal.